Consistent ethic of life supporters, are you ready for your close-up? Consistent Life board members Carol Crossed and Lisa Stiller represented us at the “Call to Action” conference of progressive Catholics in Louisville, KY this past weekend. Because these are Catholics who take the teachings on standing with the poor and practicing compassion very seriously, but are often not as well educated on how this fits in with abortion opposition, this is a high-priority conference for us to visit every year. Carol and Lisa had a good reception at the CL table, and had the opportunity to host a caucus and discussion about Consistent Life’s mission. The conference gave them a wonderful chance to practice listening and dialog skills. A group called From War to Peace recycles weapons of war into works of peace, beautiful jewelry. The jewelry comes from copper recycled from disarmed nuclear weapon cables, with multiple inspections for safety and freedom from radioactivity. It’s helping to launch peace in the 21st Century. We have various kinds of message shirts, mugs, bags, and baby creepers and bibs at our Café Press store. This is a print-on-demand outfit, so they make the product at the time of ordering – be sure to allow extra time and order early. 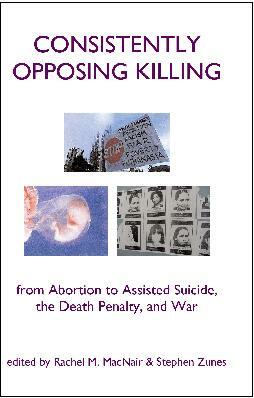 Consistently Opposing Killing: From Abortion to Assisted Suicide, the Death Penalty, and War (in hardcover and paperback & e-book); An anthology on the consistent life ethic from various perspectives. 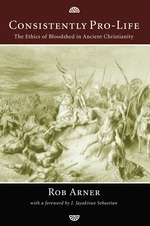 Consistently Pro-Life: The Ethics of Bloodshed in Ancient Christianity (in paperback) Excellent information on nonviolent rebels in the Roman Empire, showing how widespread the opposition was to all the different kinds of killing. 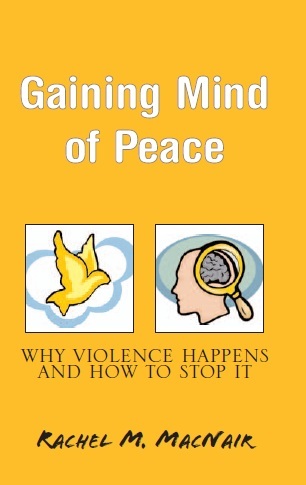 Achieving Peace in the Abortion War; (in paperback & e-book); Applying peace psychology to the pro-life movement for a general audience – explaining why the pro-life movement is making great progress in terms that make sense from any anti-violence point of view. 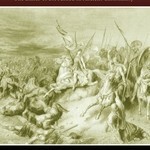 See our index under “Books” for more suggestions.